Lithuanian writer, playwright, theater critic, author of radio plays, and the former chairman of the Lithuanian PEN Club. 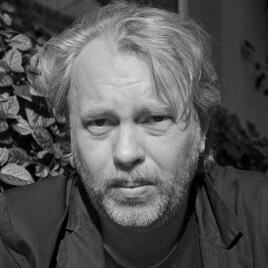 He made his debut in 1995 with his novel Ir dugnas Visad priglaus. His plays and collections of short stories have been translated into German, English, Russian, Danish and Swedish. Among others, in Polish one can find Lithuanian in Vilnius – a surreal account of a trip taken to the Lithuanian capital by a janitor from a school in Kalwaria to celebrate the Song Festival.